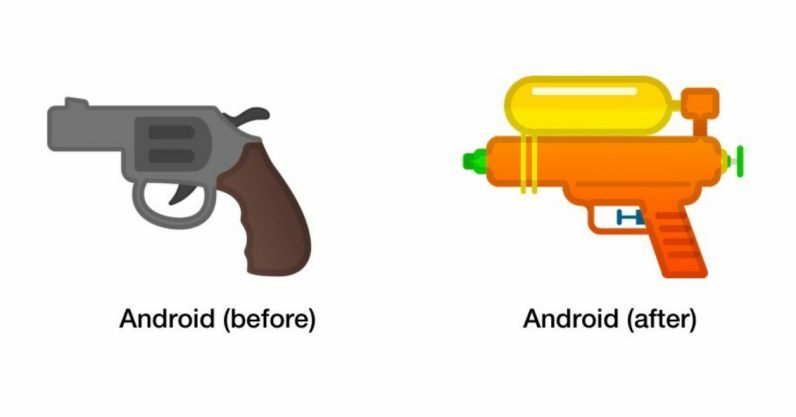 Today Google became the latest company to replace its gun emoji with a non-lethal alternative — namely, a water pistol. For context: Over the last five years, several companies have quietly switched their firearm emoji out for water pistols — except for Microsoft, which seems to have gone against the grain by switching from a ray gun to a revolver. Now Google has brought the same change to Android. Speaking generally, I’m alright with the change — revolvers aren’t as visually interesting as neon-colored Super Soaker. But the orange Android water gun is even more fun to look at than its green Apple or Twitter counterparts. It looks like something I might actually use to win a squirt gun stand-off, and it’s something I’d be more likely to use on any given day. The bigger picture: Emojipedia announced the change, along with a pending water pistol replacement on Facebook. Soon enough, we’ll all be using water pistols, except for the aforementioned Microsoft emoji. In reading up on the change, I also rediscovered Android’s gold-barreled blunderbuss emoji. If we need to have an actual gun in the emoji repertoire, I’d suggest that instead of the boring revolver.